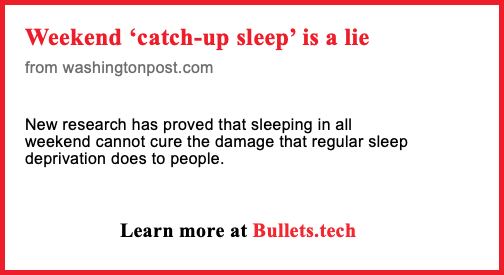 Bullets.tech is a place where we publish summaries of articles for science enthusiasts. Summaries have up to 5 bullet points and their task is to list the most important issues raised in a given article. Four short links: 11 March 2019Nat Torkington has been active in web development since the early days of the web. He wrote the bestselling Perl Cookbook, and chaired conferences for O'Reilly Media for a decade. During his time at O'Reilly Media, Nat was an editor and then became a trend-spotter for the O'Reilly Radar group, identifying the topics to build events and books around. Would you recommend Bullets.tech to a friend? I'll promise to read everyday if you promise to keep it up! Hi everyone! I'm Dawid, the Founder and CEO of Bootstrap Shuffle during the day and a reader interested in science at any other time. According to the study, emotional people (I am one of them) overestimate the knowledge they acquire by reading just the titles of articles shared on Facebook. https://journals.sagepub.com/doi... Bullets.tech is a response to it. This is a place where we publish summaries of articles for science enthusiasts. Five bullet points or less. The very essence of the article. If you ever happened to share or like a science-related article after reading just the title, you will like our website :) If the title of an article says that "a cure for cancer has been found", our summary will allow you to find out that the article is referring to one of the hundreds of tumor types and not in humans but in mice. You can browse Bullets.tech: 🌐 via the https://bullets.tech website 📧 By signing up to our weekly newsletter on the website 🤖 Using the terminal https://www.npmjs.com/package/bu... 👍 on Facebook Group https://www.facebook.com/groups/... 🦖 and the RSS feed: https://bullets.tech/rss/latest.xml I am willing to collaborate with people with similar interests (science, technology, psychology, cosmos, history, medicine, nature) who would like to take part in developing this project as non-technical co-founders. Peace! I like the 5 bullet format. Are you summarizing each article yourself, @dawid_andrzejewski? Curious to learn about your process for this. @rrhoover Hi! Yes, we are summarizing articles "manually". I don’t think that we need hundreds of them every week to make our service useful. Just the most popular/important from sources we trust. @rrhoover @dawid_andrzejewski Do you think it's scalable? Why not use a community concept and ask the readers to voluntarily commit to summarize the articles on daily basis. I can commit to do 1 article a day and this would be really. You can make us choose the articles on category basis. Yea I really think news as a whole can be shortened - I feel like blog posts on news are 90% fluff just to justify the article. I love the idea and you should have a Twitter bot. First step could contain a link to the post. In the future maybe two or three bullet points could be teased in a generated image. We already generate images for open graph preview. To be honest, I have created a Twitter account for this purpose earlier, but I had problems with images. In a preview, on mobile devices, you won't see text clearly. I tried two versions: (current) (old) I'll work on the first one. It looks spammy for me, but there must be visual/text info that not all bullets were displayed. The "funny" one (second), is terrible when the article says something about, for example, diseases. The second idea was creating a stream of connected tweets.